since the Ferrara School of Architecture was established, a university community strongly cemented by common goals, identity and a sense of belonging.Such a community finds in the educational programmes of the Degree Course in Architecture and Industrial Product Design – as well as other distinctive activities of the University, such as research, development of cultural projects, career guidance – the fundamental elements of sharing, collaboration, identification and action. researchers, while the rest are involved in teaching as Lecturers on contract, a formula that employs, in addition to research Doctors and Fellows, a significant number of carefully selected outside professionals. The Ferrara School of Architecture has focused on hiring professors by drawing freely and strategically from the world of culture, institutions and occupations. A strongly motivated faculty, constantly present in teaching and active in research, the profession and cultural projects. in terms of presence, liveliness and vitality: the very future of society and Italian Universities. Architecture, active since Academic Year 1991-1992. While its history goes back little more than twenty years, the Ferrara School of Architecture offers a wealth of events, outstanding choices and a reputation gained nationally and internationally. a stable academic career. There has also been an equally constant effort to select a set of qualified students from all over Italy by reformulating, year after year, the entry methods and the number of those enrolled as a function of the changes generated by various university reforms, and the expansion of areas dedicated to teaching with the recovery of the large campus surrounding the monumental core of the Tassoni Estense Palace. professional world, has over the years launched internships and professional training opportunities, facilitating the entry of graduates into the labour market. Aware of the evolution that modern society has incurred, the Ferrara School of Architecture has encouraged students to take on work experiences abroad. The relationships and international student exchanges with Universities from around the European Union, with which we enjoy the Erasmus and Atlante Programmes, are many; there are also frequent, intense collaborative initiatives with Universities from South America, North America, Africa and New Zealand. 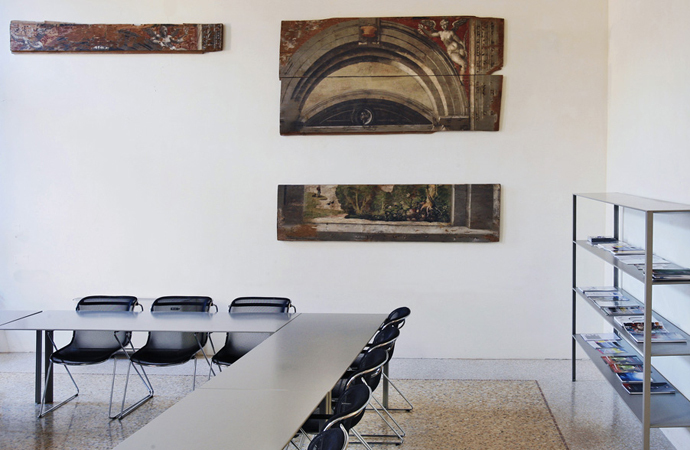 For years, the Ferrara School of Architecture has enjoyed first place in the CENSIS classification of Italian universities, which qualitatively assesses Italian Universities, and has repeatedly ranked first among Architecture Schools. In 2013-2014 the Ferrara School of Architecture was selected by DOMUS as one of the best 100 European Schools of Architecture and Design. 646 staff members (646 full-time and approx. 0 visiting lecturers and critics). Information on student accommodation can be supplied by the International Mobility and Foreign students Office. Alternatively you can book a room in the Student’s Hostel http://www.ostelloferrara.it/eng/Home-Page.xhtml and look for accommodation once you have arrived in Ferrara. High school diploma, Academic degree obtained, Transcript of University records, Detailed programme of each subject/exam taken. EU students resident anywhere and non-EU citizens with a valid “Permesso di soggiorno” can apply for enrolment with the above-mentioned documents directly to the faculty secretary’s office, after having had these documents translated and approved and having attached the declaration of value (obtained from the Italian Embassy-Consulate offices in the country where the diploma was issued). Admission Test is held in September. From July to August. Please contact university for exact deadline. leads to the conferring of the title of Masters Degree once the entire cycle has been completed. The educational aims of the Course are those included in Class LM-4 with special reference to the field of architectural and urban design at different scales of application and architectural restoration. universities. The legal duration of the Masters Degree in Architecture is five years; limited places available. To enrol, you must pass an admission test. The test is a multiple choice test, designed nationally, and it is organised around the following topics: general knowledge and logic, history, drawing and rendering, physics and mathematics. The degree course has set up a double degree project with the University of Curitiba, Brazil. This Course aims to train professionals capable of interpreting the explicit and implicit needs of society and to translate them into tangible, meaningful, useful and functional objects that can be produced industrially and are environmentally sustainable. Teaching is designed to provide students with the design methods and tools to operate in the market with up-to-date skills. At various stages of the Degree Course there are activities for understanding the nature of objects, the characteristics of materials and production processes, the role of design, modelling and creation of three-dimensional prototypes, communication design leading from the concept stage all the way to the finished product and its promotion in the market. The Degree Course in Industrial Product Design has limited places available. To enrol, you must pass the admission test. The test is a multiple choice test, designed locally, and it is organised around the following topics: general knowledge and logic, history, drawing and rendering, physics and mathematics, production processes. The degree course has set up a double degree project with the University of Curitiba, Brazil. 4) Innovative techniques and materials for the restoration and preservation of historic building heritage, recovery and maintenance of constructions and considerations on buildings’ life-cycles (LCA). 3) Land, landscape and redevelopment of the built environment, between infrastructural interventions, new sources of energy and climate change. 4) Government of the territory through targeted development policies such as soil management and planning tools and resource management. 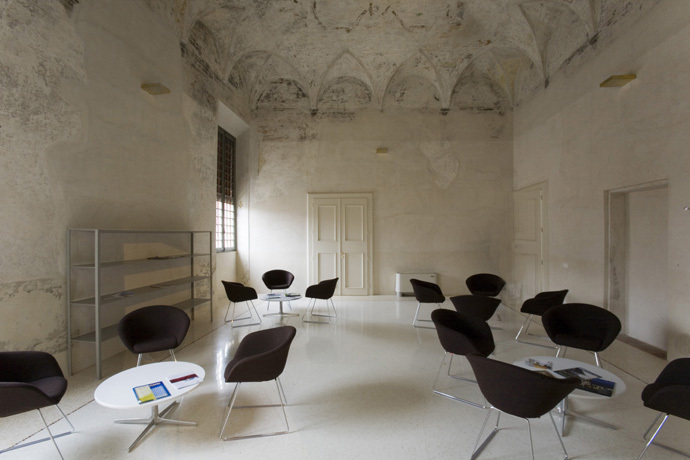 Through this brief publication, the Department of Architecture of the University of Ferrara presents all the various facilities that operate within. Professors and researchers from over ten Scientific and Disciplinary Sectors are part of the DA. The organisation of various work groups – which in many cases brings together multiple sectors – is based on a system divided in Departmental Centres, Workshops and Research units, and on a model that takes into account the multi-disciplinary composition of the operative units, the flexibility of the structures, and, above all, the capacity to adapt the distribution of available resources and forces to the needs and priorities of the sectors where the research activities are being developed. Today, three Departmental Centres, six Research Laboratories, eight Research Units are active in the DA. 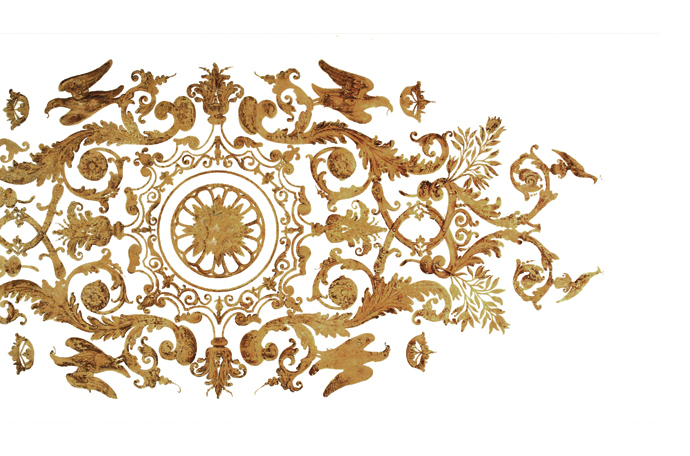 that have progressively broadened the sectors of scientific research and production. resources that it produces, but above all in terms of recognition of the role of service that the University must be able to provide to the community. Lastly, a policy of diffusion of research results and knowledge sharing includes training activities, both in the area of postgraduate studies, as well as in that 21 of professional development and refresher courses. The Centres and Workshops of the Department of Architecture also organise seminars, workshops, summer schools, professional refresher and training courses for designers, technicians and operators in the construction industry, together with other public and private groups. The DA is also home to the International PhD in Architecture and Urban Planning (IDAUP). The Department of Architecture is a body with financial and administrative autonomy. The Department Dean is responsible for its management and is elected from the Ordinary Professors by the members of the Board of the Department, a collegial body for planning and managing activities.